For several months out of the year, a band of brown haze almost a mile thick blankets northern India, trapped there by the Himalayas. It produces smog dense enough to be visible indoors in Delhi and other urban centers. And daily, Indian women who are among the world's poorest people add mass to the choking pollution cloud when they feed kindling to homemade stoves. They spend several hours a day preparing meals huddled over the fire, breathing in smoke and increasing their risk of respiratory illness. Now, a multiyear experiment launched nearly a decade ago by a researcher at Scripps Institution of Oceanography at the University of California San Diego may have hit upon just the right combination of technology and financial incentive to thin the haze and lift the lid on a problem causing societal ills on multiple levels. Project Surya, introduced by Scripps climate scientist Veerabhadran Ramanathan, found that women in poor Indian villages would more readily replace traditional polluting cookstoves with new clean-burning ones if the women could be more easily compensated for using such stoves and the stoves were easier to repair. If the use of cleaner stoves were scaled up, a very large but relatively short-lived contributor to global warming could be substantially diminished. The discovery of what works and what doesn't "opens the door for rewarding rural women for becoming climate warriors," Ramanathan said. An analysis by Ramanathan and others appeared in the journal Nature Climate Change on Oct. 31. The concept of offering improved cookstoves to households in the developing world is not new. Project Surya followed in the wake of several programs attempted in recent decades throughout the developing world that had achieved uneven results. What it added though was the sociological research that was needed to understand the impediments that kept families from using the stoves permanently. The coincident development of carbon markets and mobile phone technology that enables individuals to interact with those markets has also proved fortuitous. Surya added a sensor in each clean-burning stove to monitor its use in real time. 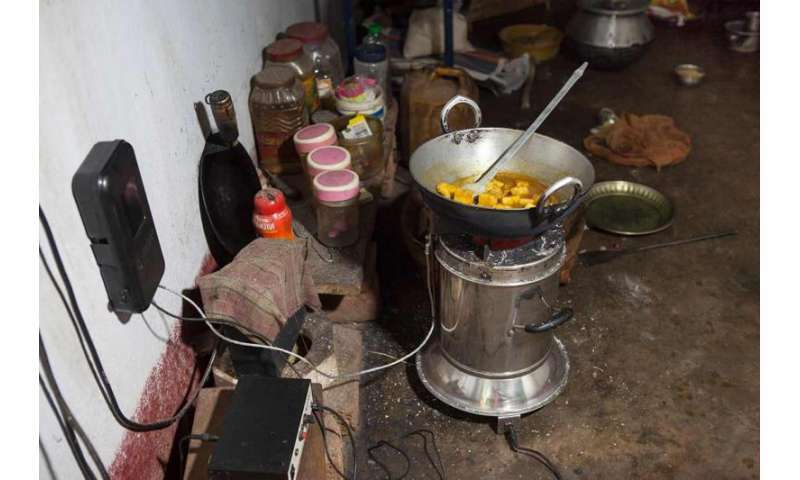 The wireless data converted the improved stove use to reductions in emissions of carbon dioxide and black carbon, the world's second-largest climate pollutant. These pollutant reductions were in turn converted to climate credits using state-of-the-art knowledge in climate change science. "It's a breakthrough approach using real-time data to solve the issue of affordability and make clean energy more sustainable in rural areas," said study corresponding author Nithya Ramanathan, president and co-founder of the Los Angeles company Nexleaf Analytics, which developed the sensors installed in participating households. "It's a bottom-up approach where we're saying, let's get the money to the women who are actually taking the action." The results, the study authors wrote, "provide a solid basis for understanding how best to apply" the $100 billion in climate financing pledged by developed nations during international climate negotiations. Nithya Ramanathan and study lead author Tara Ramanathan are daughters of Veerabhadran Ramanathan. "Engaging the women in the real-time data and climate credits gives women agency in the larger cookstove conversation and is key to improving their quality of life and the world," said Tara Ramanathan, program director at Nexleaf. "If these smart stoves are adopted by the poorest three billion, as many as 3.5 million lives each year can be saved. In addition, village women and teenage girls can reduce the time spent in collecting wood by half." "The new approach will also reduce humanity's climate footprint by four billion tons per year, the equivalent of about nine percent of global greenhouse gas emissions. No other solution for mitigating climate pollution can come close to this in bundling improving global health, empowering poor women, and mitigating global warming," said Veerabhadran Ramanathan. Project Surya was launched in 2009 through support from the National Science Foundation, United Nations Environment Program and Qualcomm Wireless Reach, a strategic initiative that uses mobile technology to create solutions to global issues. Veerabhadran Ramanathan's initial interest in the experiment as a climate scientist was to see whether introducing cleaner cooking practices could noticeably diminish what he terms the atmospheric brown cloud, the mix of soot and other pollutants that is among the world's biggest contributors to climate change. Ramanathan wanted to see if cleaner stove use in one specific geographic area would let an individual pixel of clean air – measurable by satellite and ground-based instruments –punch through the brown cloud that covers much of south Asia for months on end. 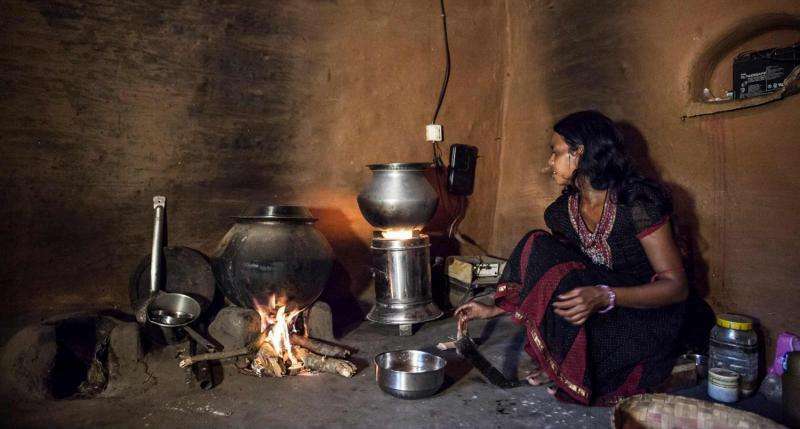 Surya, a collaborative effort between UC San Diego, Nexleaf, and The Energy and Resources Institute at New Delhi, India, tested use of clean-burning cookstoves with sensors in 4,000 Indian homes with support from Leslie and John "Mac" McQuown. Mac McQuown is a member of the Scripps Director's Council and co-founder/director and principal of Diversified Credit Investments, a firm that manages portfolios of corporate credit risk for institutional investors. The homemade cookstoves traditionally used by the poor inefficiently burn wood, dung, and other forms of biomass. Gas and electric stoves like those used in the West are prohibitively expensive for such households so government interventions have focused on providing people with more efficient biomass-burning stoves. The use of more efficient stoves has been rewarded by carbon markets in recent years but typically the developers and distributors of the stoves have received the benefits rather than the people using them in their homes. Clean cookstoves typically cost around $70 and represent a major household expenditure for people who earn less than $1 per day. The compensation awarded through the new approach was based on the amount of time that the cookstoves were in use. Women in rural villages could make up to $60 per year just by changing their cooking practices. 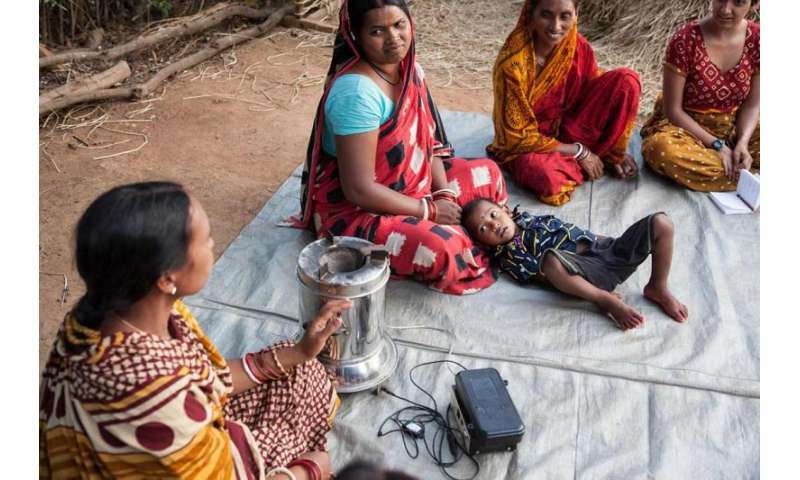 "The addition of wireless sensors to cookstoves has created multiple solutions that improve social and economic outcomes for these families in India," said Angela Baker, director of Qualcomm Wireless Reach. "We are thrilled about the implications of the study and proud to have supported these efforts since the program's inception." There have been other obstacles to overcome. Several women who received the Surya cookstoves were initially enthusiastic about them because they required less wood or other fuel to burn, but many of the stoves broke after a few months of use in the rugged environment of rural homes. Another problem women encountered was that the financial incentive was often hard for families to realize because few had bank accounts. Those who did had to travel long distances, usually on foot, to go to banks to redeem their credits, which were only issued quarterly. Since the study, the researchers have improved adoption rates in response to feedback. They worked with telecommunications company Vodafone to make compensation easier. They changed the mechanism by which participating households are credited, sending money through mobile wallets using the service M-Pesa, which functions similarly to PayPal. Then local "cash-out" agents travel to villages and make cash payments. "What is especially clever is combining communications technology via the cell phones these families already have to the vesting of carbon credits that have value," said Mac McQuown. "Solar cells can be added to the stoves to recharge their cell phones and even provide efficient LED lights where no lights currently exist. 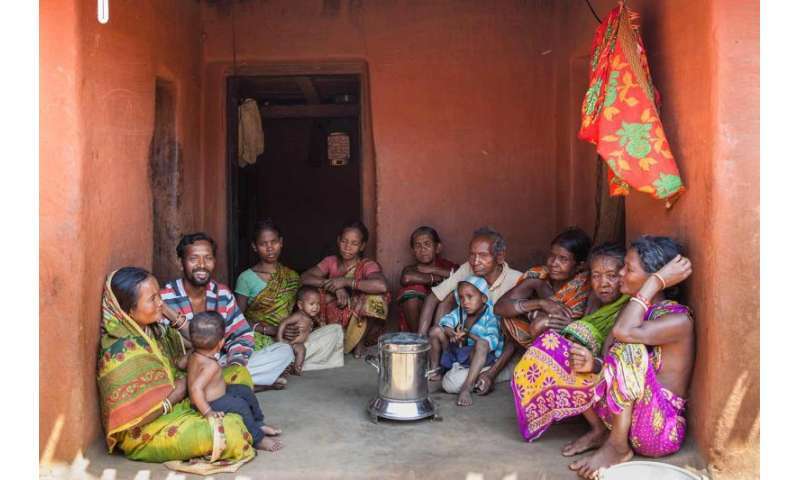 Project Surya's initial 4,000 such stoves have demonstrated the feasibility of the approach, and the Ramanathans are now finding the means to impact one million Indian households with this technology. My wife and I were thrilled to play a small part is this brilliant experiment that has provided solid evidence that material change in behavior can arise from simple technology changes with attendant economic incentives." The researchers are now also devising methods to train female entrepreneurs in Surya test locales how to make repairs on the stoves. "We found that it's important not just to distribute cookstoves and sensors, but to create a whole ecosystem to sustain usage," said Nithya Ramanathan.